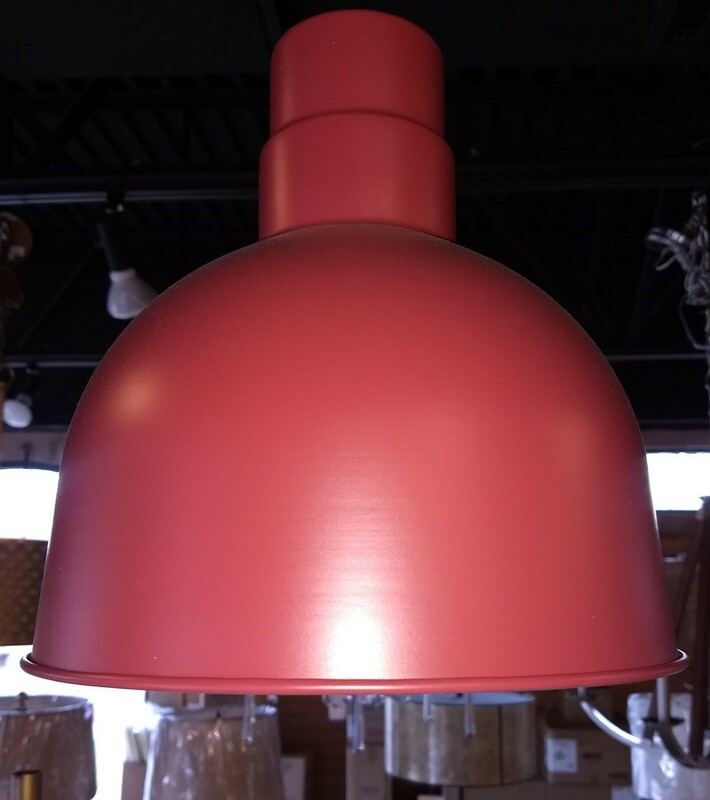 Home > Chandeliers > Pendant Lights > Warehouse > Deep Bowl Pendant Light w/Cord 6 Colors Indoor-Outdoor 10-12"W - Sale ! Deep Bowl Pendant Light w/Cord 6 Colors Indoor-Outdoor 10-12"W - Sale ! RLM retro style deep bowl industrial warehouse pendant light is cord hung and available in 6 colors and 2 sizes 10-12" wide. Shades are electrostatically sprayed steel and oven baked with UV stabilized paint appropriate for indoor/outdoor use. All shades excluding galvanized and copper, incorporate white liners for increased light reflectivity. The galvanized finish will vary as it is zinc plated steel with a clear protective overcoat. Copper is a multi step painted finish that is uniform on the inside and outside areas of the shade. Industrial lights are popular for home, restaurant, bar, warehouse or barn. RLM pendant light is rust resistant, approved for damp locations and have many residential and commercial applications indoors and outdoors. RLM is an old school abbreviation that stands for Reflector Luminaire Manufacturer. It originally applied to industrial lighting that directed light downward. It is now very popular in many residential and hospitality applications including homes, apartments, bars, restaurants, barns and warehouses. Shipping: Worldwide by economical postal mail. Professionally packed for guaranteed no damage shipping.